Web server communication security is a major concern for any online business or for the industry, because in the rapidly expanding world of electronic communication security is paramount. 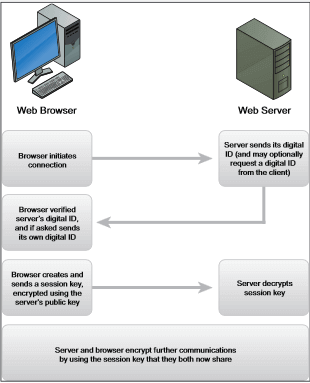 Web server SSL Certificate helps you to secure your client or web server communication with strong 2048 bit encryption. All web server ssl certificates are business validated. Fully compatible for different types of web servers. Server SSL Certificates from brands like Symantec, Thawte, GeoTrust & Comodo provides minimum 2048 bit encryption at affordable cost. These certificates create the strong secure layer for your business communication and transactions, which develop the customers trust for your online business. Once you purchase the web server ssl certificates from trusted CA authority and install on your web server your website, SSL certificate provide the information about your web server & establishes security layer between web browsers & your servers, when internet users visit your website. What Happens between the Web Browser and Server?